Analysis: Ready For an Energy-producers Fight? 'Big Coal' is losing ground to wind and solar generating capacity. America does not have, and never will have an electrical energy shortage. But the coal and even nuclear industry are steadily losing their grip on the country's power generating market to renewable energy. And, agriculture, with its wide open spaces, is just beginning to benefit from renewable energy's growth. And the push for cleaner energy is particularly strong in the Northeast. SOLAR POWER: Legislation awaiting Pennsylvania legislators would solar and wind power, plus the returns to land used to generate it. At the Pocono Raceway, NASCAR has launched the biggest solar energy stadium project in the world by more than two times, according to Mike Lynch, managing director of NASCAR's Green Innovation. Research by a Duke University economics professor now suggests that the cost of solar photovoltaic systems is lower than the rising projected costs of new U.S. nuclear plants. And the Pittsburgh Post-Gazette reports that Pennsylvania's solar industry, especially in eastern Pennsylvania, is outstripping the pace of solar growth nationally, thanks mostly to New Jersey's strong renewal energy standard. Michael Jones, Pittsburgh-based salesperson for Standard Solar, says "The value of their solar renewable energy credits is double [in New Jersey] what they are here [in Pennsylvania]." It doesn't take a GPS to follow the signs. Adding more clean renewable energy to our electricity mix is good for the environment and great for the economy – more jobs. In 2004, Pennsylvania became the nation's temporary leader in the renewable energy industry, enabled by enacted alternative energy legislation. It attracted international and homegrown companies. Today, the commonwealth has 16 operating wind farms, with more being developed. Wind companies, such as Gamesa, employ more than 1,000 people in Pennsylvania. 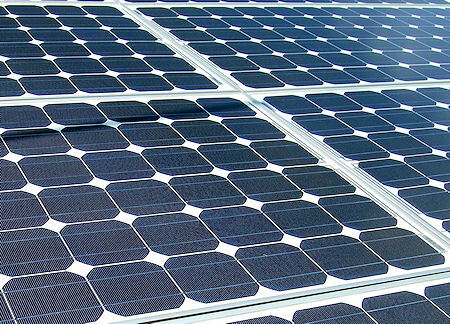 The solar industry is also growing, with even more growth potential. Pennsylvania's Department of Environmental Protection has certified 450 solar companies to provide services to customers. Solar Power Industries, for example, makes solar panels and employs 200 people, with plans to bring on another 375 in the next few years. Currently, Pennsylvania requires only 0.5% of its electricity to come from solar. By comparison, Delaware, Maryland and New Jersey have set their solar requirements at or over 2%. Legislation awaits the General Assembly's return in September. The Clean Energy and Green Jobs bill (House Bill 2405) would extend the current Alternative Energy Portfolio Standards Act to 2024, and raise the amount of solar power sold in Pennsylvania six-fold from 0.5% to 3% of electricity. Then, the marketplace incentives would bode well as a renewable income and energy source for agriculture. It would raise energy demands from Tier I clean energy sources from 8% in the current statute to 15% -- boosting renewable power from enough to serve 438,000 homes to 2.1 million homes.